You don’t have to exist for a long time to be part of history, especially when we talk about history with the realms of extreme metal. Form a band, release a demo and disband…quite easy actually. Hellevaerder from The Netherlands is one of those bands, who just released a demo a couple of months after existence and quit just after releasing the demo. I could have chosen to leave this demo in the vaults and not mentioning it because…well, what is the point to promote it, as the band doesn’t exist anymore…But who knows, if they will reform and you think “Hellevaerder…Hellevaerder, it does ring a bell….oh yeah, I have read a review of it on VM-Underground!”, I’m glad I did write a review about it. As you can see, it has all to do with my ego to be honest. 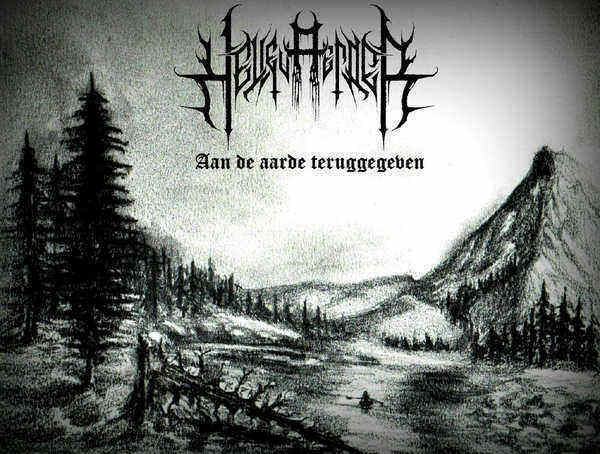 Frankly, “Aan de Aarde Teruggegeven” is too good to be ignored.